N174 George Godfrey. He is misidentified as "Joe" Godfrey. The most common format N174. Godfrey was another black contender. 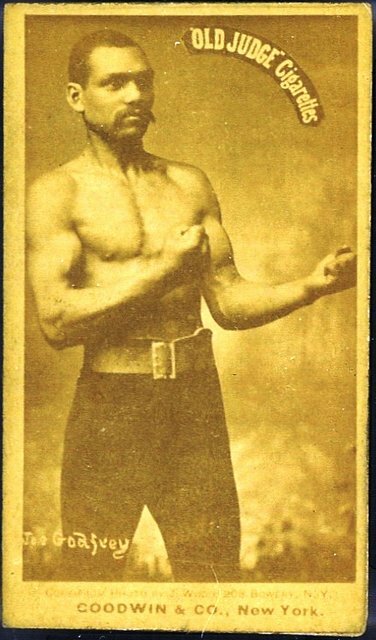 This and the Peter Jackson are the earliest known cards of black boxers, so they bring a premium from specialists. Godfrey was elected to the Bare Knuckles Boxing HOF.